I’m struck by how using a particular tool enhances or restricts how we share our story. The template format here could have a regular read left to right – top to bottom (like a comic book). Since the story is chosen as snapshots, the story can be read in any order without losing its thread. Regarding sound files, I didn’t want to use the options offered by Thinglink so I found that I could upload the mp3 to box and it could be shared without a login account [good thing to remember for next school year]. 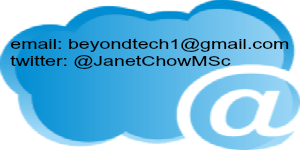 Posted on July 7, 2013 by JanetPosted in Blog as Voice, Images as Literacy, Innovative Teaching & LearningTagged #clmooc, activities, differentiation, multimodal, web2. I like how you are assessing for the values we have as connected learners–how the tools help and hinder connection, showing how we might participate fully with the tools, pointing out what will and won’t work in school with different kinds of accessibility. I look forward to your credo next week on the CLMOOC.